It takes longer to stop on a slippery road. It’s important to leave plenty of space between you and the vehicle ahead. A guide to safe spacing under normal driving conditions is the two-second rule. 1. Pick a marker on the road ahead, such as a road sign. 2. When the rear of the vehicle ahead passes the marker, count “one thousand and one, one thousand and two”. you are following too closely. In winter, and especially during poor weather conditions, double the two-second rule. Snow on a road may be hard-packed and as slippery as ice. It can also be rutted, or it can be smooth and soft. Wet snow can make for slushy roads. Heavy slush can build up in the wheel wells of your vehicle and can affect your ability to steer. Remember, look far ahead as you drive, so you can recognize hazards and have plenty of time to respond. Adjust your driving to the road and weather conditions. Slow down and avoid sudden turns of the steering wheel, and sudden braking and accelerating, which could cause a skid. Extra caution should be exercised when driving in these road conditions. Be careful when approaching shaded areas, bridges, and overpasses, as these sections of road freeze much sooner in cold weather and stay frozen long after exposure to the sun. Watch out for frost, areas of the road that appear black and shiny, as this can cause your vehicle to suddenly lose traction. Slow down, keep your foot off the brake, and be ready to shift to neutral or step on the clutch pedal as your vehicle crosses these areas. On snowy, wet and slushy roads, large trucks and buses can throw moisture onto your windshield, leading to a sudden loss of visibility. Always drive defensively and leave enough space to minimize snow spray. Severe winter driving conditions may make you nervous, uncomfortable, or fearful. Stay off the road unless your trip is absolutely necessary. 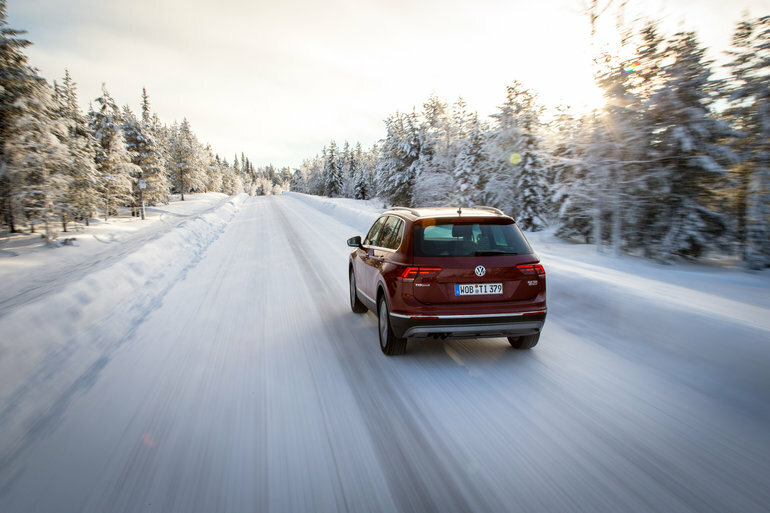 Proper preparation and the right skills will help you face the challenge of winter driving.